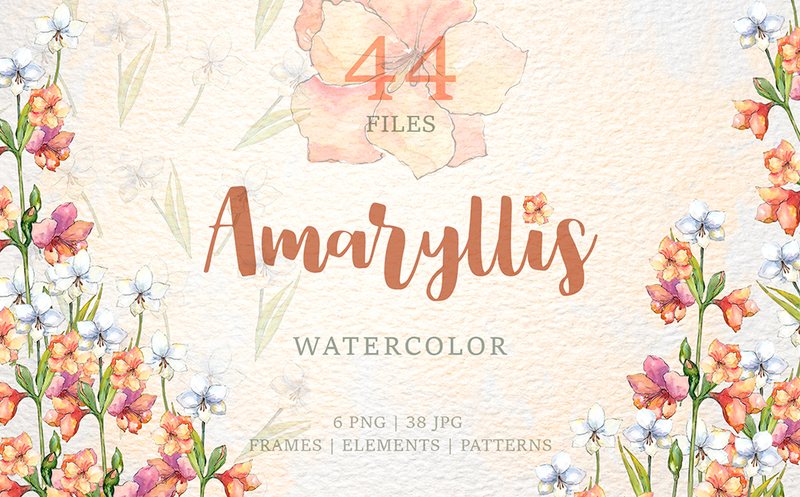 Amaryllis flowers Watercolor png clipart of 44 files. Ideal material for DIY, wedding invitations, greeting cards, quotes, blogs, posters and more. Thank you for choosing. We are working hard every day to make the best products for design purposes. In case you haven’t found what you are looking for you can contact us directly. Follow us to get more information about work, freebies and behind the scenes.